While continuing to hold the Volume down button, press and hold the Power button until the boot mode screen appears, then release the both buttons. 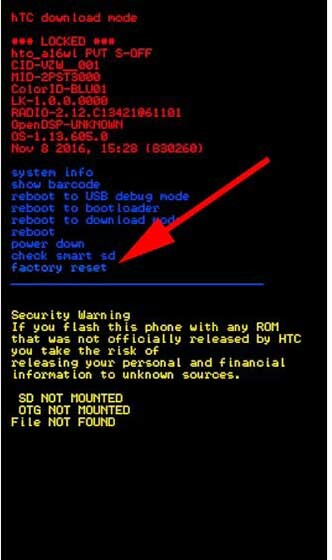 Press the Volume down button to scroll down and highlight 'factory reset' (displayed in blue font) then press the Power button. If necessary, utilize the Volume up button to scroll up.